Theatre’s a funny old business. Rampant technological and social changes have affected who we are as audiences, even what we think of as theatre, while artistically, theatremakers continue to be inspired by the world that changes around them. Conversely, it also feels resolutely anchored and reliably familiar: you can revise and update all you like but Shakespeare is always going to be Shakespeare. Taking stock, this #LoveTheatreDay, there’s plenty to celebrate. Theatre is in rude health. Latest figures from UK Theatre – surveying its members for 2016 – put the number of performances at close to 43,000 with more than 19 million tickets sold. National surveys show anywhere between a fifth and a third of adults attending the theatre once a year, and box office data from the West End shows a healthy bums-to-seats ratio. Market forces and the quirks of public funding don’t always create the greatest theatre, but the UK’s scene has none of the censorship you still find in some countries, and nothing like the cultural cold spots that you see in the US or Canada outside of the big cities. Despite being under constant threat, politicians of all stripes have understood that arts education, from early years to elite drama schools, help engender good theatremaking and good theatregoing. Britain’s gambling habits have done wonders for the sector. Since the late 1990s, the money donated by Lottery players has upgraded, refurbished and built afresh a suite of venues and rehearsal spaces, and filled them with all manner of kit. There are alarming signs about the consequences of cuts to local authorities, but overall we live in a world of unprecedented cultural abundance. There are more hours of high-quality theatre available to watch online than most of us can manage in our lifetimes. Advances in research methods and a greater demand for accountability from funders mean that we know more about theatre audiences than ever before. The web is awash with insight and how-to guides for programming, pricing and marketing. There’s no scientific formula (yet) for how to create a smash hit, but by combining multiple box office datasets it’s possible to analyse all manner of variables to reveal who attends what theatres, how often they return, and how much they spend when they see a performance. Then there’s all the extra data from those questionnaires and evaluations that you all love so much. An affinity with audience data reminds those of us in the arts world that we’re the oddballs: we’re hyper-attentive, hyper-engaged and able blithely to navigate all manner of arcane theatre customs that would either bewilder or repel the proverbial person on the street. We’ve learned that an important factor in whether people enjoy the theatre is all the faffing about that comes before you get to your seat: the parking, the toilets, the ease of getting refreshments, the welcome. Long gone are the days when people might scour Time Out or the local press for listings and reviews, ring or go in person to the box office, retrieve their paper ticket and plan their night out accordingly. Nonetheless, a good deal of our embedded customs still assume that people operate along these analogue ways. Profound challenges for public funders and their grantees remain. Data, whether drawn from national surveys or box office returns, still reveals that the big institutions in the publicly funded theatre sector are super-serving the educated middle-class. Why subsidise the cost of theatre for those who not only can afford to pay a little more, but would also be willing to do so if required? The sector has made great efforts to diversify its audiences. Approaches have either involved attracting more people to the same old product: repackaging the canon any which way to appeal to people who previously thought it wasn’t for them; or, at times, to change the product altogether: to make work that directly responds to (or is made by) a more diverse set of people than those traditionally engaged in theatremaking. There are many routes to non-traditional audiences. And these days the sector energetically explores all available avenues. Taking theatre out of traditional spaces doesn’t only place it at the feet of reluctant or shy audiences, it creates its own kind of spectacle and forces all sorts of interesting artistic responses. The success of immersive experiences in strange places by the likes of Punchdrunk has given funders, companies and audiences the confidence to take theatre all over. 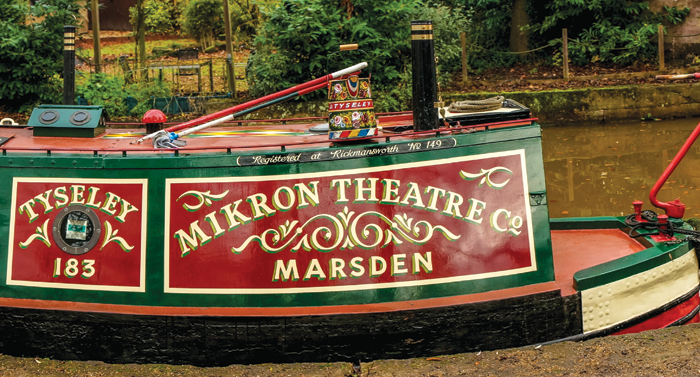 Just this year, Mikron took to the waterways to perform on a canal boat and the Back to Ours strand of Hull 2017 brought a mix of audiences to a wide variety of unexpected venues. For many people, the cinema has become the place to see theatre. A fledgling distribution network allows the possibility that oversubscribed or far-flung productions can be seen from the comfort of the movie theatre. Not everybody in the sector likes it, but it’s a result of theatre’s popularity rather than a sign of failure or cutbacks. Community programming feels like it’s in the ascendancy right now, developing its own sense of quality measures and aesthetics. The importance of the Creative People and Places scheme cannot be overstated: handing over control to the community itself isn’t just an act of social justice, it sparks new and relevant forms of art. 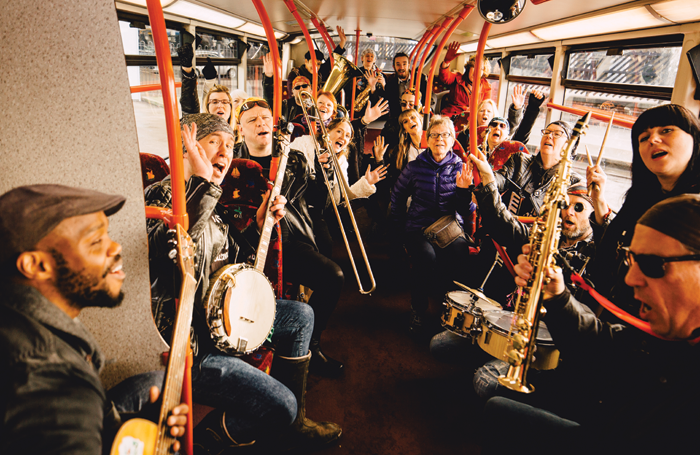 Fun Palaces are popping up all over the country, reaching different audiences with a different kind of experience, while also transforming more established venues like the Sheffield Crucible, even if only for a weekend, and Theatre Royal Stratford East. The marketplace is being disrupted with all sorts of exciting ideas – some social, others technological. Pay what you can; pay what you want; pay what you think it was all worth. It’s not the big institutions that are taking these risks, but companies such as Slung Low, which feel anchored in their communities who establish a level of trust and reputation that permit them to experiment. Apps like TodayTix will, in time, revolutionise the way that we all see live theatre. While it’s become ever easier to measure and understand audience behaviour and tastes, the rejection of traditional ways of theatregoing and its established disciplinary boundaries has really complicated our task. What’s wrong with the desire to encounter work in all manner of ways (on devices, on stage, on the big screen)? What is this ‘theatre’ that we’re celebrating on #LoveTheatreDay? Ultimately, it’s what we call it, or want to call it. And that’s worth celebrating too.